Christmas has been very close, but you are just beginning to make decorating your dining room, below is a contemporary dining room ideas for your Christmas. Design the dining room designed with colors that also write your ping and romantic feel of fresh holiday decorations you can place it on the table for more add festive atmosphere. This is the easiest ideas and inspiration to create a unique atmosphere in your Christmas celebration at the end of . 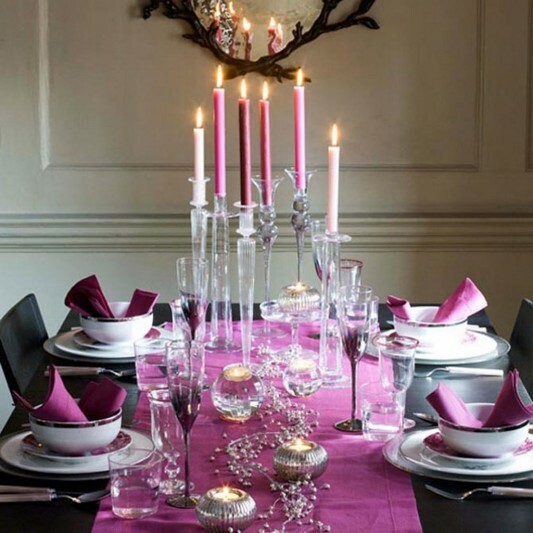 Pink theme you can choose in creating the feel of a beautiful Christmas with family.